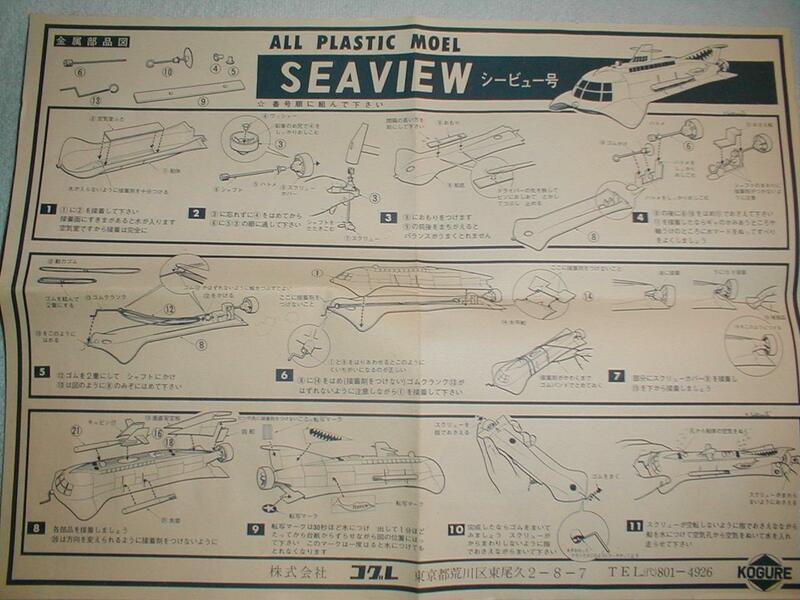 Issued by the Kogure Company in Japan in 1964-65. 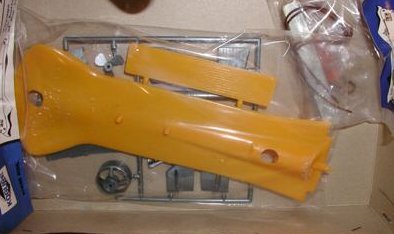 A very rare kit, and never released outside of the Japan market. 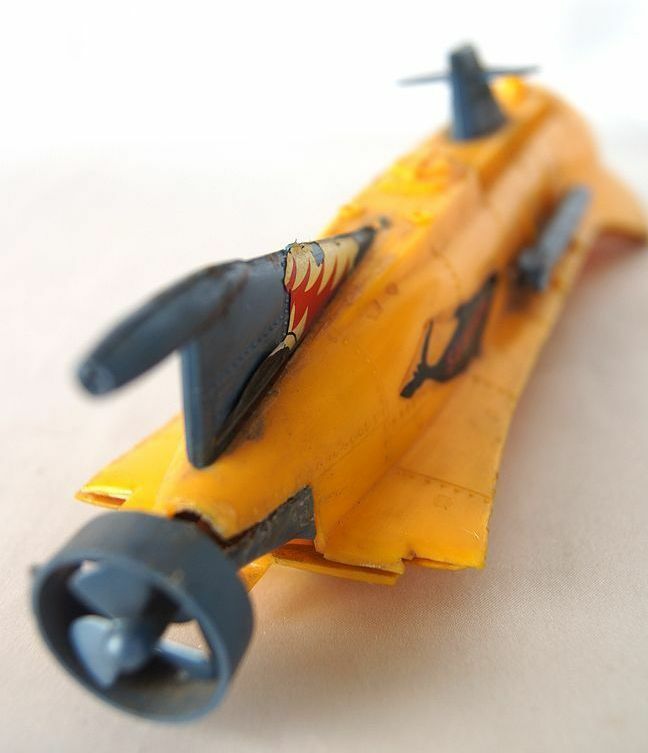 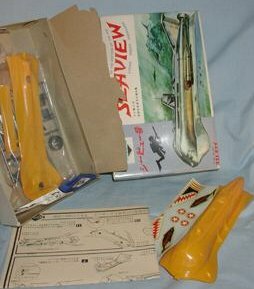 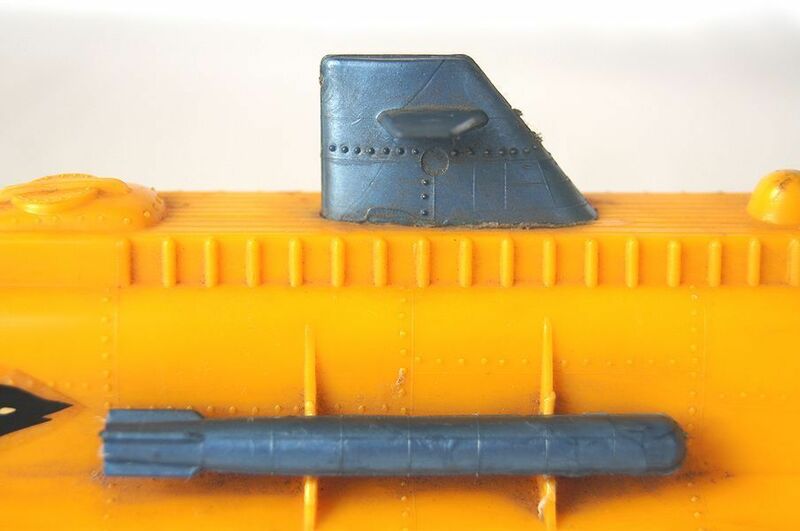 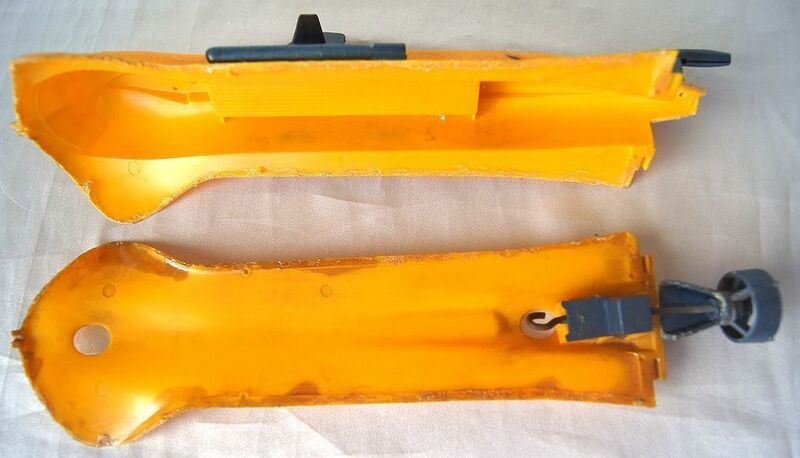 A two piece plastic Seaview in yellow, with several minor pieces to be added. 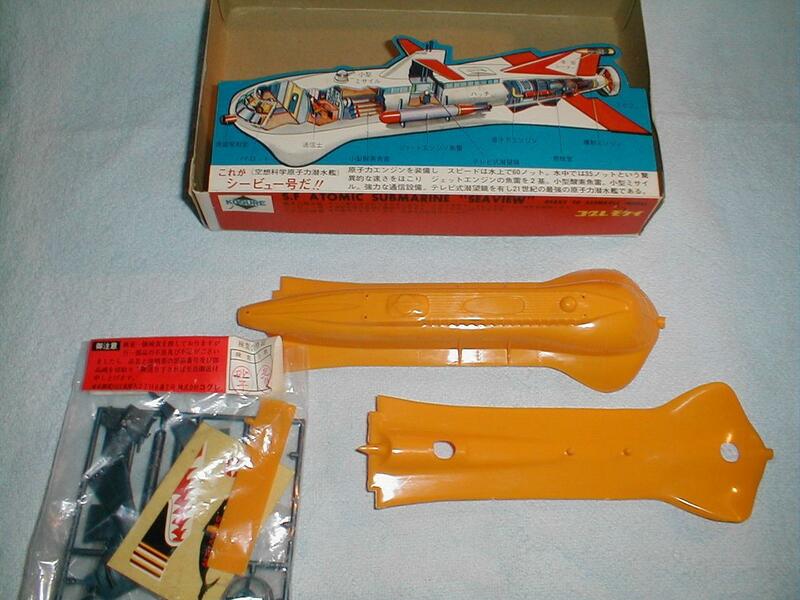 The kit comes with decals, and a very nice color box insert of the inner view of the S.F. 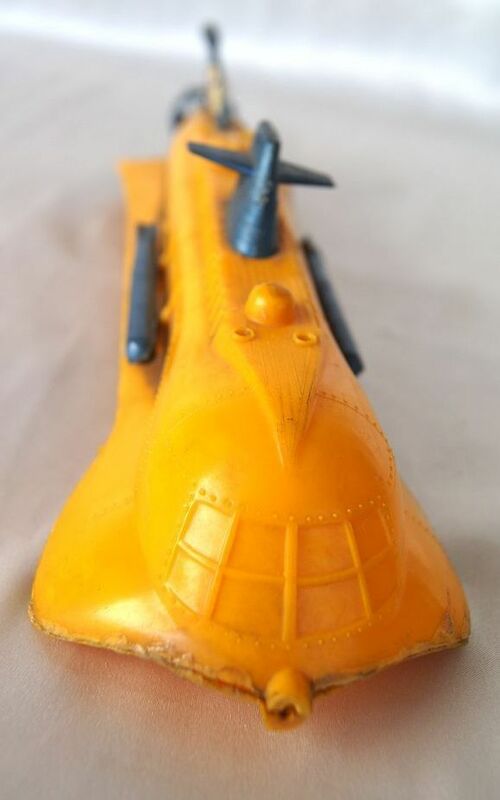 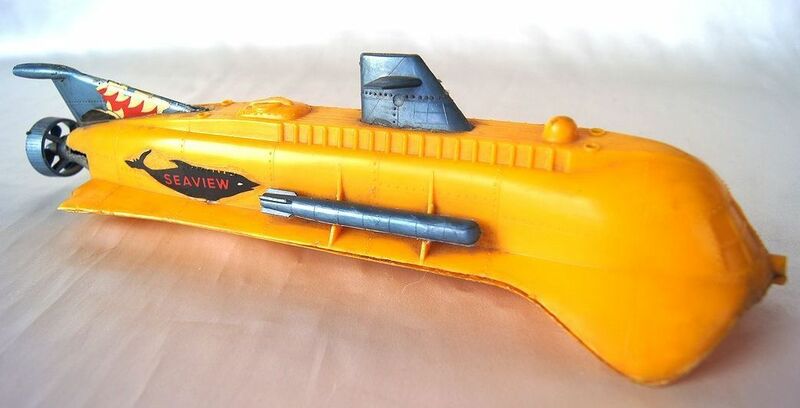 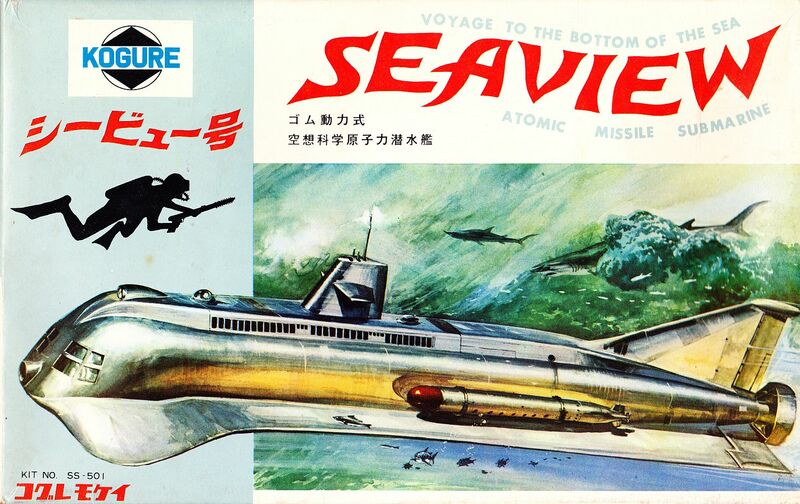 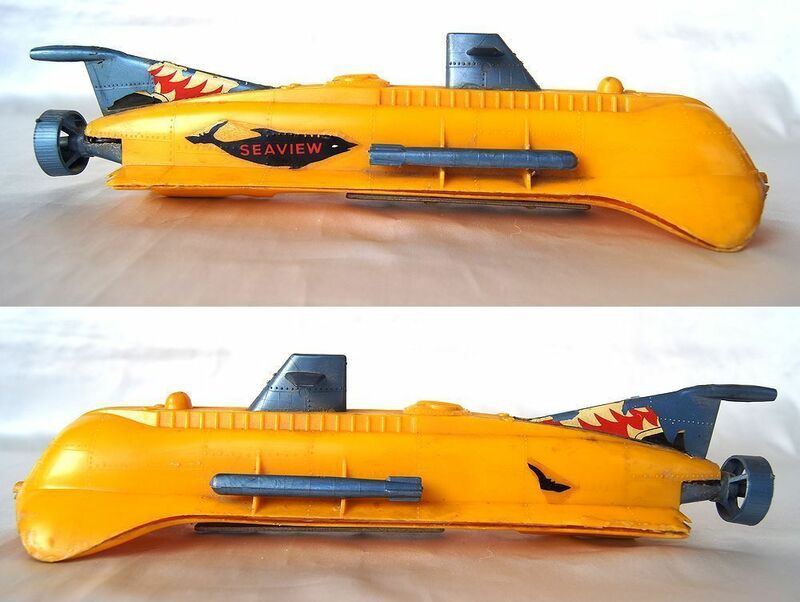 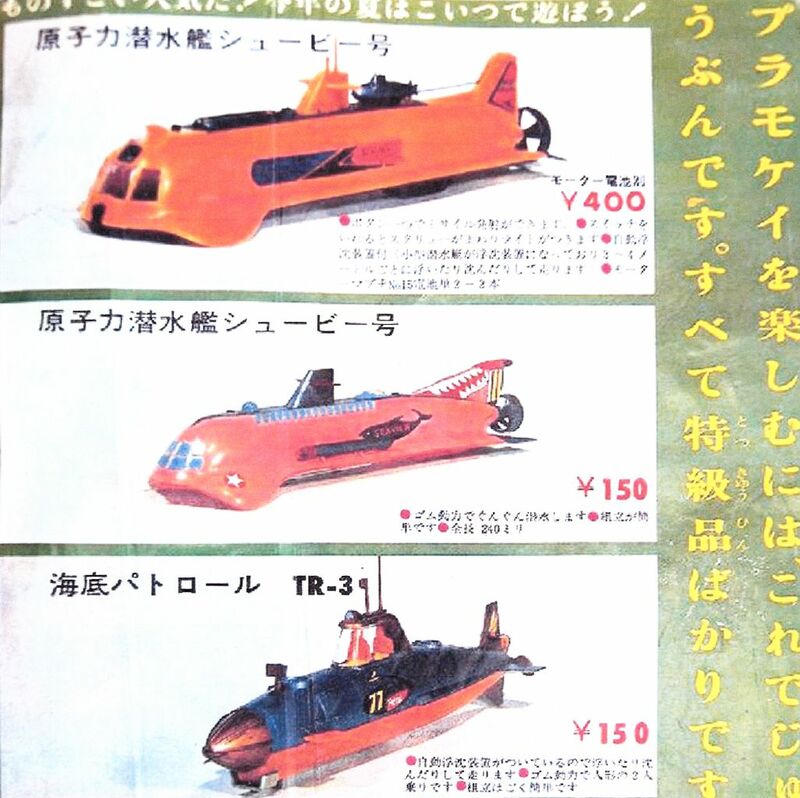 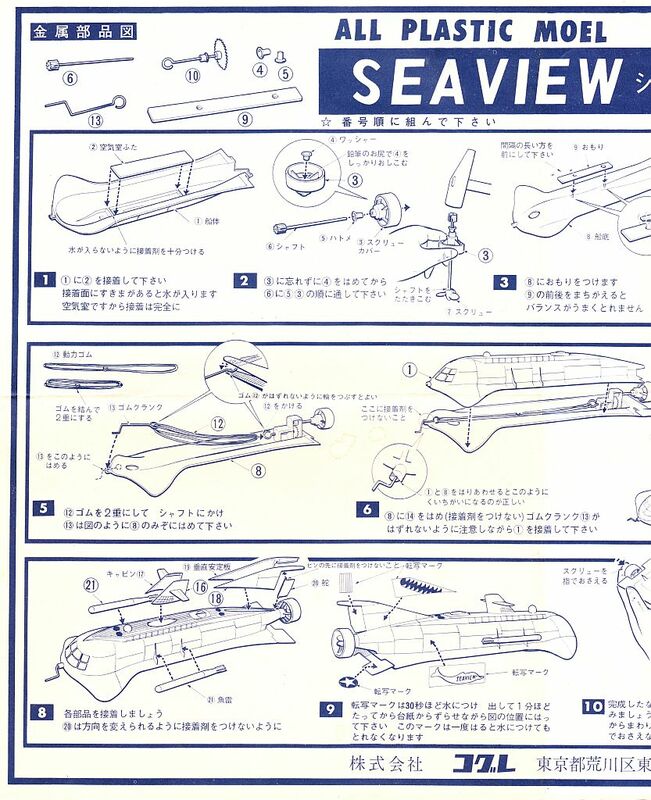 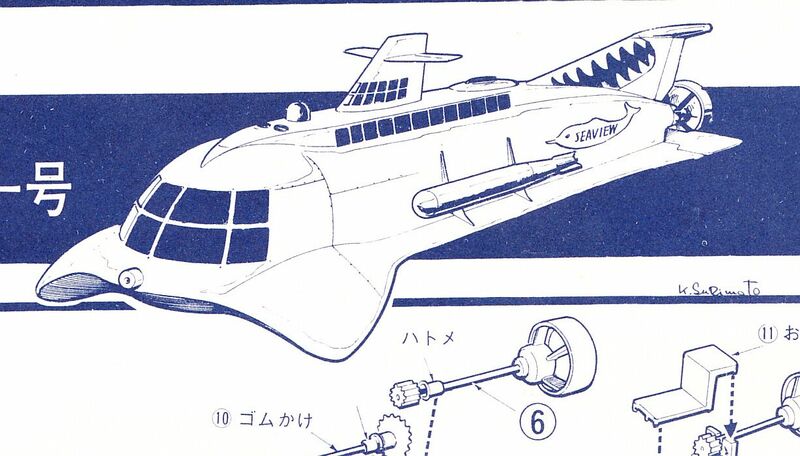 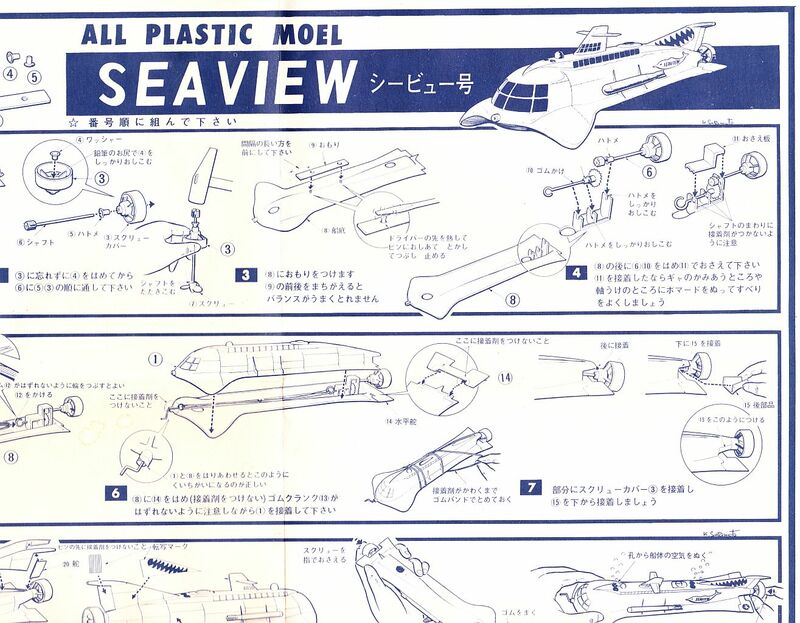 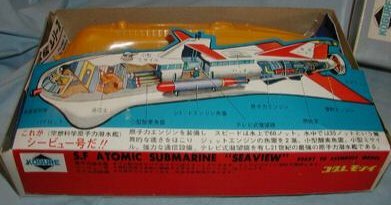 Atomic Submarine "Seaview".